Using essential oils for acne is an option that you don’t want to overlook if you are battling the condition. On your quest to get beautiful skin, you will find there are many options available, but few of them are as pure and natural as what is offered in essential oils. In recent years, studies have been conducted on the effectiveness of using essential oils for acne, and you may be surprised at what you learn about their conclusions. When it comes to using these powerful little oils to help clear up the skin, we are only seeing the beginning, because they are going to be around for a long time and become even more popular with each passing year. There are numerous essential oils that can be used to help clear up acne and lead to beautiful skin. There are many different kinds of essential oils that can be used to help treat acne. The best option is to give one a try to see how it works, before trying another one. You may find that the first one you try does the trick! The more people learn about the benefits and effectiveness of using essential oils for acne, the more the news spreads and more people turn to them. In study published in the journal BioMed Research International, they report that acne is a serious skin condition that affects around 80% of adolescents and young adults between the ages of 11-30. They also point to the idea that plant-derived oils, which are essential oils, have played an important role in our health care system for many years and also have a high potential to help with treating acne. While it may seem like essential oils are just something for those into new age type of products, you may be surprised to learn that they are being widely used by people all around the world today. According to the U.S. National Library of Medicine, essential oils are the scented liquid taken from certain plants through the process of steam or pressure. The oils are highly concentrated, evaporate quickly, and contain the natural chemicals found in the plant, which are what gives them the “essence.” In addition to using essential oils for acne, many people use them for a variety of other uses as well. They have been found to help everything from coughs and colds to helping to alleviate headaches. Essential oils are used either topically, being applied directly to the area, or they are used as the basis of aromatherapy. With aromatherapy, the essential oil is usually put into a diffuser that helps put the essence into the air. When using essential oils for acne, you would typically put 2-3 drops of the oil on the area with the acne. You can use one essential oil by itself, or you can also mix them with other things. 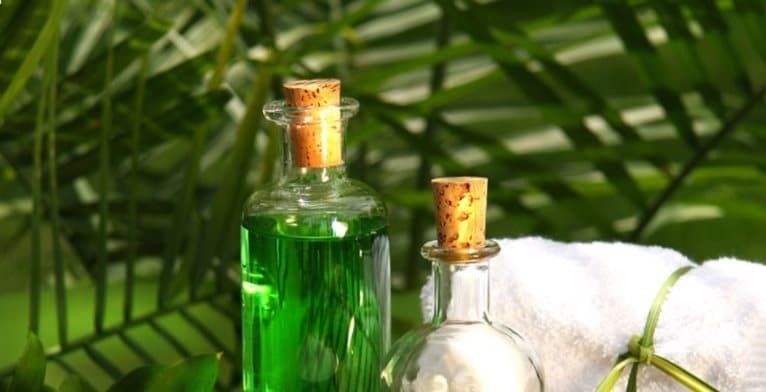 Many people who use essential oils for acne like to mix the oil of their choice with something like coconut oil, and then apply it directly to the areas affected with acne. In addition to the coconut oil having antimicrobial properties, it is also great for helping to moisturize the skin, getting you one step closer to clearing up blemishes and having beautiful, clear skin. As you likely are already aware, there are many products on the market that claim they will help clear up acne and prevent it. Many people also see a dermatologist for help with their acne treatment. With so many options already available, it may leave some people to wonder why they should consider using essential oils for acne. Well, there are some good reasons to consider it and even give it a try. One of the most important reasons that essential oils for acne are becoming increasingly popular is the fact that people use too many antibiotics. Even though the antibiotics may not have been prescribed to you for acne, they may have created a condition where the bacteria you come into contact with are resistant. Many people have also been prescribed antibiotics for their acne. Ultimately, the overuse of antibiotics in our society has made bacteria more resistant, which means that we need to find other ways to treat conditions. Essential oils used for acne tend to have a natural antimicrobial in them, so they are at this point more effective on bacteria. 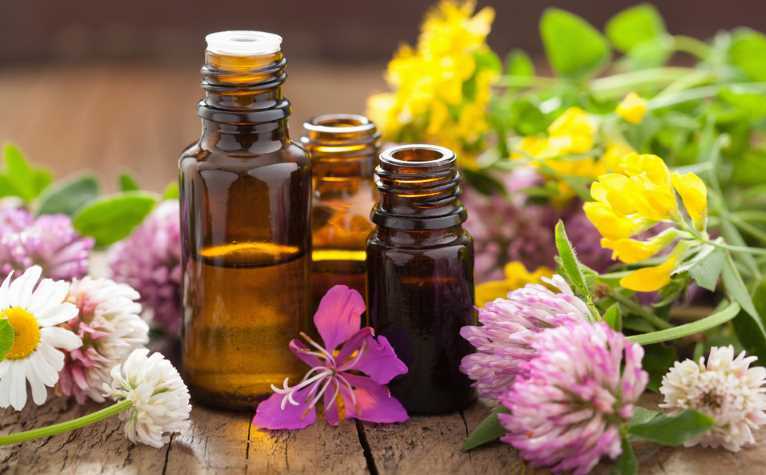 In addition to the resistant bacteria concerns, essential oils typically don’t have the side effects and possible irritants that many other products have. They are considered safe, effective at treating acne, and they are also affordable. Most essential oils can be picked up right at a local health food store or ordered online for affordable rates. Tea tree oil is one of the best essential oils for acne. Coming from the leaves of the tea tree, it is a natural substance that has both antimicrobial and antiseptic properties. It has many medicinal uses and provides great results. Another great benefit of using tea tree oil is that it is an affordable essential oil. While many others can get quite pricy per bottle, you can usually pick up a bottle of this for an affordable price. Tea tree oil is one of the most effective of the essential oils for acne. In a study published in the journal BioMed Research International, researchers shared their findings on using plants for modern therapeutics. One area they looked at when researching plants that are used for treating acne include the area of essential oils. They reported that a study was conducted on 60 patients who had mild to severe acne who were treated with tea tree oil. They found that the tea tree oil was highly effective in treating acne. Plus, patients had fewer side effects from using tea tree oil to treat their acne. Takeaway: With tea tree oil being so inexpensive, it makes good sense to give it a try. It’s one of the best essential oils for acne, so you may see some great results. Once the acne is gone, keep the bottle around to help address other issues, such as ringworm, athlete’s foot, and even lice. While we may love the taste of apricots, not many people have stopped to think about how powerful the oil from the seed could be. Yet there is evidence that it can be a powerful product in helping to combat acne. It’s no wonder that there are quite a few skincare products on the market that put apricot seed oil in as one of the ingredients. It’s great at helping to moisturize skin, revitalize, and give your skin a beautiful look. In an article published in the journal Phytotherapy Research, researchers report that apricot seed oil has been used to treat skin diseases, including acne. They analyzed the antimicrobial agent in this essential oil for acne and found that apricot seed had antimicrobial properties that help to fight against bacteria and yeast. Apricot seed oil is another essential oil that can be purchased inexpensively, and it can also be found in numerous skincare products and lotions. Takeaway: You may love the taste of apricots, but now you can love that apricots can also help you have beautiful skin and stop acne. Even if you use one of the other essential oils for acne, you may want to opt for a lotion that contains apricot seed oil just for another healthy benefit. This little berry packs a powerful punch when to offering an essential oil that can help you have great-looking skin. Juniper berry is one of the best essential oils for acne. The oil is derived from the juniper berry, which comes from juniper plants. In addition to being used for treating acne, juniper berry oil is also beneficial for treating sore throats, boosting the immune system, helping with digestion, and helping with muscle aches. In a study published in the journal Pharmaceutical Development and Technology, researchers reported their findings from a study where juniper oil was used as an anti-acne topical solution. Juniper berry oil, like many other essential oils, contains antimicrobial agents, which help it to be effective against acne. They found that juniper berry oil was promising as an anti-acne agent, especially in topical solutions that contained the essential oil. That’s great news for anyone with stubborn acne issues. Takeaway: Like apricot seed oil, juniper berry oil is used in numerous skincare products and lotions. Whether or not you choose to try this oil to treat acne, you may want to use a lotion that has this in it for additional benefits that it provides. While it sounds good enough to eat or use in a recipe, orange and sweet basil oils are effective at helping to address acne. Researchers published a study they conducted on a combination of these two essential oils, reporting how they helped address acne. They split the 28 participants into four groups, giving them various treatments over the course of eight weeks. One of the groups was given treatment with essential oils for acne, one was given medication, one was given medication with acetic acid, and one group was given essential oils mixed with acetic acid. When the study was finished, they reported that all groups had improvement in their acne, with up to 75% of it having been cleared. There were also few side effects and little discomfort experienced from the treatments. They concluded that results of using orange and sweet basil oils to treat acne ranged from good to excellent. Takeaway: Both orange oil and sweet basil oil are effective treatments for acne, because of their antiseptic and keratolytic activity. Plus, the side effects from using the topical oil disappeared within minutes. You may want to give these powerful essential oils a try to see how they work out for you. While you have probably heard of some of the others essential oils for acne that have been mentioned, plai oil may be one you haven’t yet heard of. Derived from the plai plant, which only grows to be around 8” tall and produces little pine cone-like stems. The oil has also been successfully used to treat sore muscles, heal wounds, and by massage therapists around the world. If you can’t find plai oil in health food stores, look for it online. There are many places that offer it online and for inexpensive rates. In the same study that touted the acne-fighting benefits of tea tree oil, the researchers found that plai oil had the same benefits. Plai oil, they reported, exhibits antimicrobial agents against a wide range of bacteria. They confirmed what many others had suspected for a long time, which is that plai oil is a great essential oil for acne. Another benefit is that it’s not expensive and is also found in many skincare products as an ingredient. Don’t shy away from plai oil just because you haven’t heard of it until now. This could be a powerful tool in your home that can help with acne and skin conditions. Takeaway: Picking up a bottle of plai oil is an affordable way to start treating acne. It’s one of the essential oils for acne that have been proven to bring results. Once the acne is gone, use the rest of the bottle for massaging into sore muscles. In addition to the benefits of using essential oils to help treat acne and get beautiful-looking skin, there is another benefit that cannot be overlooked. There are many different types of essential oils on the market, ranging in prices. In addition to the ones listed above, you will find that there are other essential oils that are helpful for controlling acne. It’s important to try out different ones to see which one will work best for you and which one you are more comfortable with. Perhaps you will find one that has a smell you don’t care for or that doesn’t fit your budget. In such cases you can simply search around for those essential oils for acne that will both fit your budget and offer an aroma that you are more comfortable with. Confirming the fact that there are numerous essential oils for acne, a research study was published in the journal Evidence-Based Complementary and Alternative Medicine on the topic. They reported that essential oils are popularly used in dermatology, with at least 90 different ones being used, creating about 1500 combinations once blended together. In addition to effectively treating acne, they report that essential oils are also used for fungal infections, wrinkles, scars, and scabs. The researchers offer a lengthy list of the various essential oils for acne. In addition to the ones mentioned above, their list includes bay, lavender, manuka, may chang, cajuput, niaouli/gomenol, peppermint, spearmint, myrtle, basil, geranium, rosemary, Spanish sage, sandalwood, thyme, vetiver, and violet. With there being so many essential oils that can help clear up skin, you should have no problem finding oils to use topically, as well as those skincare products that contain some of these helpful oils. Takeaway: There are many essential oils for acne, and you will find many skincare products that tout having these oils in them. The key is to find the ones you like and that you have the most success with. Most of these essential oils are inexpensive and can also be used for a variety of other conditions, so if you don’t have success using them for acne you can keep them in the house to use for other conditions. Either way, your money won’t be wasted when you invest in essential oils to help you have beautiful-looking skin and to clear up blemishes. Exposed Skin Care is an acne treatment system that provides all three things people are looking for when wanting beautiful skin. It provides people with the tools for cleansing, treating, and moisturizing, and all without drying out the skin. It even comes with a microfiber cloth so you can do gentle exfoliating, and a probiotic to help your body have the good bacteria it needs to fight acne. Of those who have used the system, 98% of them report that they saw results within 30 days. Keeva. This product contains one of the essential oils for acne. The tea tree oil is mixed with a blend of other natural ingredients to create an effective solution to help clear up skin. Users report that it works quickly, and it helps to balance the skin so that it’s not dry or oily. You can also use this product to treat scars from acne. Q. Are there essential oils for acne? A. There are actually many essential oils that will help to clear up acne. Additionally, there are many that will help with acne scars and other skincare problems. Q. What are essential oils? A. They are the “essence” of a plant that is derived through steam or pressure. They are then put into bottles and sold as oils that you can use topically, with aromatherapy, or can find in skincare products, such as lotions. Q. What are the best essential oils for acne? A. There are many to choose from, but some of the most popular essential oils that you may want to try to address acne include tea tree oil, apricot seed oil, juniper berry oil, orange and sweet basil, and plai oil. Q. How do you use essential oils to help with acne? A. Essential oils can be used by putting 2-3 drops on the area with acne. Done 2-3 times per day it will help to get rid of the acne. You can also mix essential oils together, to create a blend that helps to also moisturize the skin. To do that, mix the essential oil of your choice with a little bit of coconut or jojoba oil, and then put it on your skin. You will get a good mixture of antimicrobial properties to help clear up acne, and the moisturizing benefits to help give you beautiful and well-nourished skin. Sorry to undermine your' expertise', but my son's acne was cleared up pronto with nothing more than a spray bottle containing roughly half and half distilled water and apple cider vinegar (with 0.5% preservative - Liquid Germall Plus), a few drops of lavender essential oil and a titch of mixed tocopherols 95%. As part of the process, he stopped washing his face with soap and any other products, instead just splashing his face with plain warm water, after which he'd pat it dry with a disposable paper towel (more hygenic than a normal towel) then spray with the mixture and leave his skin to 'air dry'. So when his friends noticed his acne was clearing up 'out of the blue', they wanted to know what he was doing, so he told them. Their mothers approached and asked me if I could make up the same mixture for their sons, so I did. The end result was that all 3 boys experiended the same healing result. Was it the lavender essential oil (lavendula augustifolia in this instance)? Was it the apple cider vinegar? Or was it only that he'd stopped washing his face with anything more than plain warm water? I really don't know, but I'd like to think it was Lavender's ability to heal even third degree burns together with it's natural anti-microbial, anti-fungal and antibiotic properties, the vitamin E and the acid balancing effects of the apple cider vinegar/water blend that worked together in harmony to create a healing balance. As an aside, whenever I burn myself cooking (which I invariably do), I immediate pour a few drops of either lavender or peppermint essential oil (whichever is closest to the kitchen at the time) over the affected area and receive instant - and permanent - relief, with no resulting blisters. You might find researching the French Chemist, René-Maurice Gattefossé and his experiences with lavender essential oil - used neat - on burns he received in a lab explosion, to be of interest. He later used lavender e.o. on hospitalized soldiers who had been burned during WWI. It's funny how the fact that Gattefossé healed himself of third degree burns with Lavender E.O. is no longer mentioned in any publications today - that poignant bit of fact has been iinsidiously and rigorously removed and replaced with with merely, "he received burn in a lab accident"'. Essentials CAN have a great benefit for acne if combined with the right carrier oils. I have never had any luck using jojoba or virgin coconut oil. Organic and cold pressed doesn't matter. I have found great success in argan oil and passion fruit seed oil.